Political art is meant to be provocative. 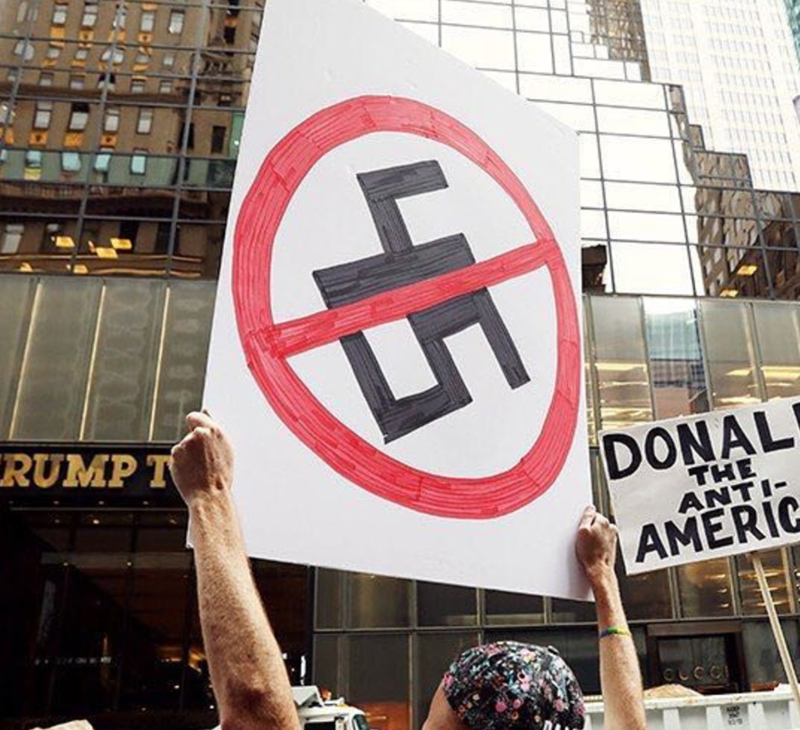 From protest signs expressing opinions, to social commentary, to political cartoons, it encapsulates the times and gives people a voice. 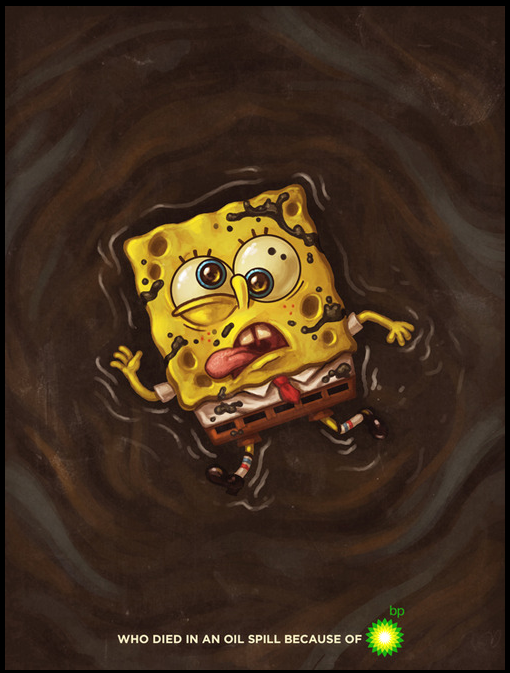 Artist Mike Mitchell is using his visual voice to send no holds barred messages with his latest work. 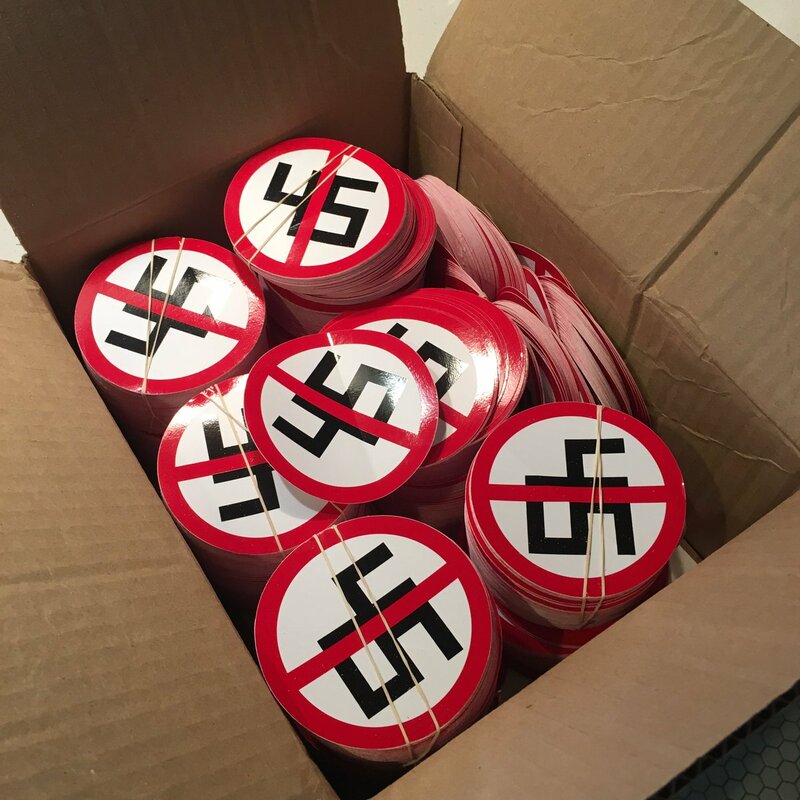 Best known for his pop culture portrait work and satire, Mitchell’s more recent politically charged work – particularly the “45” design making its way around social media – says more in one image than can be said in 140 or 140,000 characters. We wanted to talk to Mitchell about the role of art in political commentary, a little bit about the design that’s been stirring up conversation after recent events, and about the balance of protecting your own self on social media while also being open and honest. Check out the illuminating interview below! You are an artist who needs no introduction…regardless, tell us a little about yourself. If it’s alright, I’d like to take a moment to instead talk about Heather Heyer, who was killed this weekend by a shitbag white supremacist while she was protesting against racism. She was there, peacefully fighting for equality and justice. She was a good person, and she should still be here. I’ve been thinking about her friends and family a lot. Most of your work is either rooted in pop culture or satire. Lately your work seems to have more of a political lean – have you always been interested in creating political commentary or is that a more recent development? I love political (and social) commentary. I’ve had a number of pieces over the years that touch on that, but lately there’s been a lot going on. I don’t know if you’ve heard? The host of The Apprentice is president, and it turns out he’s awful. What’s been the response to your “45” design that’s been making its way around the Internet? Has it been the response you expected or has anything surprised you? Did you receive a similar response to your “Traitor” image? It’s been great. Up until this weekend, I’d say they were about even in terms of response, but the “45” really took off in the last couple of days. I hope it spreads far and wide. The second I saw a “45” on Trump’s USA hat, I wanted to find a way to ruin it. He’s beneath the honor. 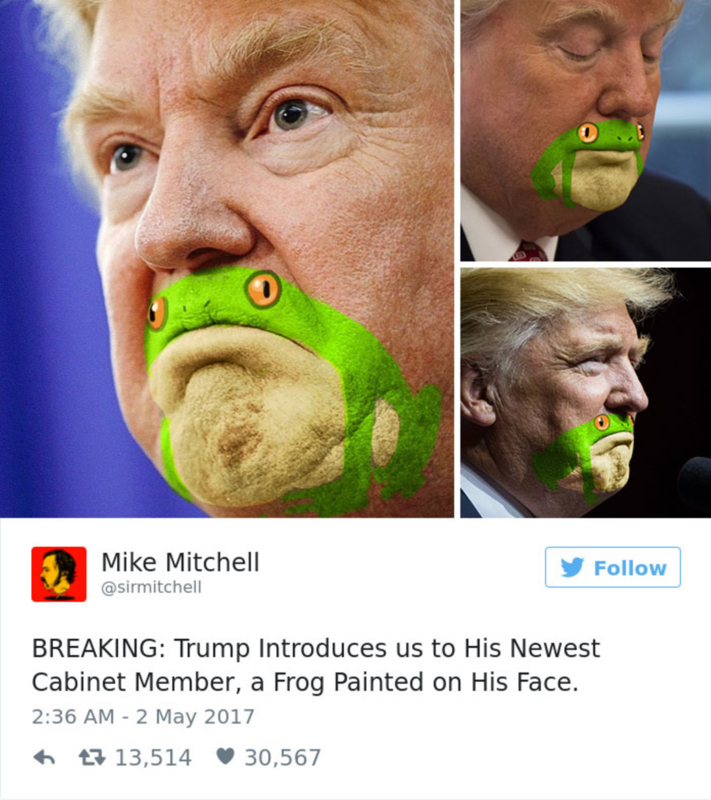 A more meme-level political commentary Mitchell did, “President Frog”. What role do you think art plays in politics and in political critique? It’s a great way to pin something to someone permanently. I hope this image finds its way right next to Trump in the annals of history. It would only be fair. In this case, it’s a strong, simple message in a time where everything is blurry and convoluted. It allows people to cut through right to the heart of how they feel. It’s exhausting to constantly try and express yourself through dialogue with other people. Sometimes you just want to put a middle finger in the air. 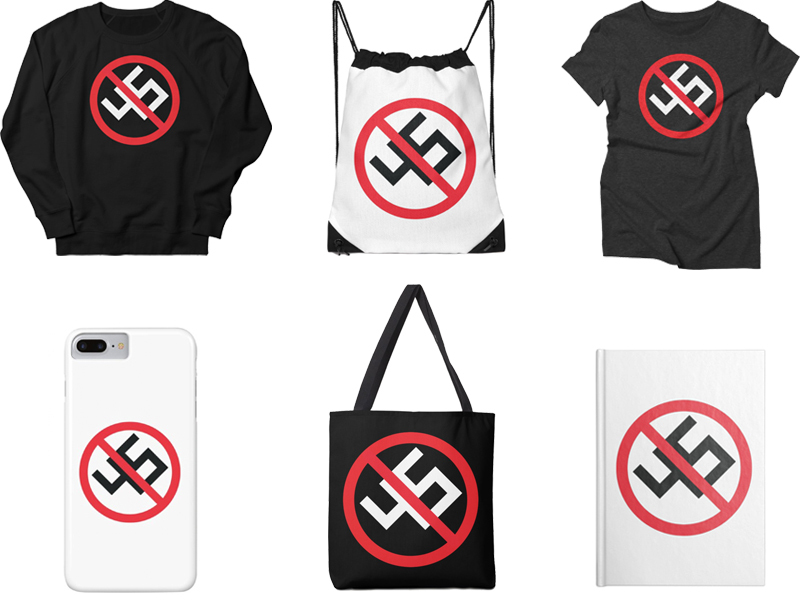 Mitchell’s “45” design on just a few products in his Artist Shop. Top row: men’s sweatshirt, drawstring bag, and women’s triblend | Bottom row: phone case, tote bag, and notebook. How do you balance being provocative with your art and expressing honest opinions on social media, and protecting yourself from the responses of people who disagree with a piece you create? I’ve learned to just block/mute people. It’s much easier than trying to reason with unreasonable people. I try to be as honest and genuine as I can, and I’ve also got a lot of great fans who are very supportive, even if they don’t always agree with me. I try to focus on them. I quit Facebook, and I’ve quit Twitter but I am back on that pain train again. Be yourself. It’s corny, but it’s taken me a long time to realize it. 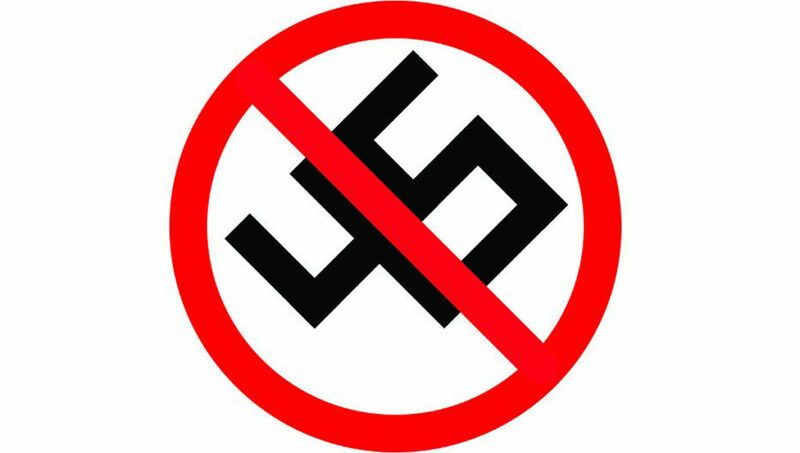 Posted in Uncategorized and tagged Donald Trump, Mike Mitchell, Political Commentary. Bookmark the permalink. “Here Comes the Suuun”: Gear Up for the Eclipse! Live Tweet “Game of Thrones” With Us and Win!